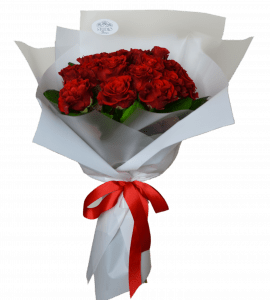 On Valentine’s Day, it is customary to give bouquets, because flowers can tell about your feelings more than a thousand words. They are a symbol of passion, love, tenderness, special relationship to the person. 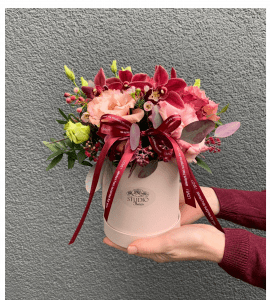 Flowers will always be the most popular and desirable gift for Valentine’s Day, whether it is a classic bouquet of roses or lilies, exotic orchids or callas, tender tulips or snowdrops. In the eastern countries, even in the Middle Ages, there was a special language of flowers, which was common among lovers. It helped people transmit a wide range of feelings that they experienced. 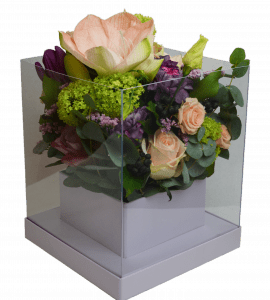 Here played a huge role not only the flowers themselves and the shades of their buds, but also the size of the bouquet, its volume, the number of flowers in the composition and the type of bud. The language of flowers lives today. 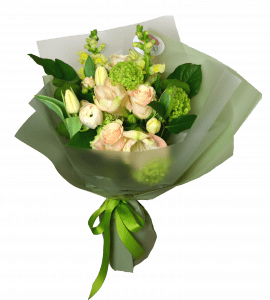 With its help, everyone can give positive emotions to their beloved one in the most romantic and gentle day of the year. 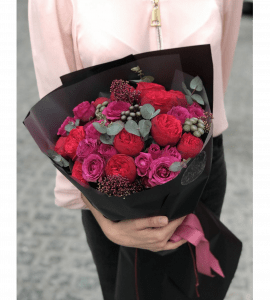 What bouquet to choose for Valentine’s day? 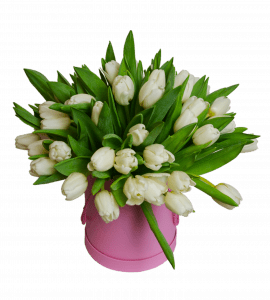 tulips – beautiful and tender spring flowers, which symbolize sympathy and love. A bouquet for the Valentine’s Day can be decorated with various accessories (for example, a soft toy or ribbon), and also add a postcard to it. Thanks to the appearance of new accessories, florists started creating new interesting compositions from fresh flowers. They pleasantly please the eyes and are liked by everyone without exception. 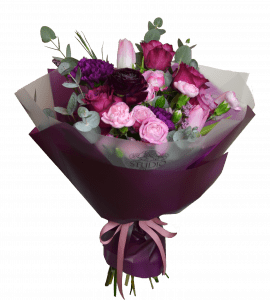 If you want to present to your beloved something special, then it is worthwhile to stand still on this option. Adding to this gift a valentine, you can definitely win the heart of a girl. 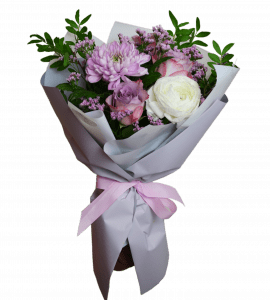 Where is it possible to buy a bouquet for Valentine’s day in Kiev? 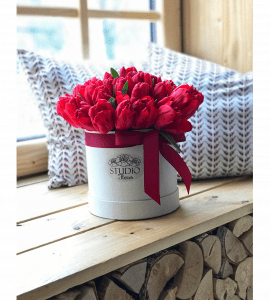 STUDIO Flores is a world of colorful flowers and magic gifts for any occasion and event.